Are you ready for the adventure of a lifetime? Bali is an amazing place and one of the best places I visited in Southeast Asia. This is why I created the list of the best things to do in Bali for you. I arrived in Denpasar, Bali and was hit hard by the madness of the Bali tourism. My first thoughts was “I don’t like Bali”. It was crowded, busy and horns beeping like it was a fashion. Nevertheless, my backpacking on the Bali island, Nusa Penida and the Gili islands turned out to be and unforgettable adventure. The beaches in Bali, the friendly locals and so much more make a visit to this top destination an unbelievable memory. In this post for you, is how to do the 16 backpacker things to do in Bali on a budget, because I wish for you to have even a bit of something similar to my time in Bali. How to get around Bali? 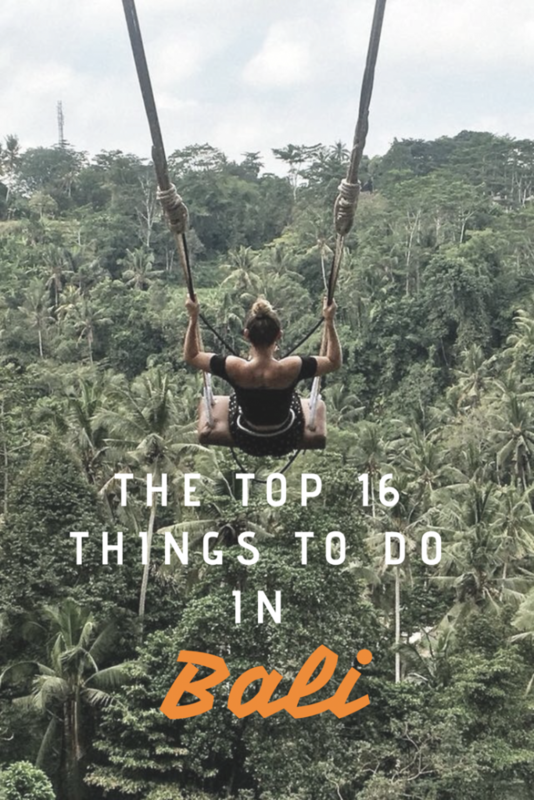 okay, so you’re going to have to get some sort of transport to be able to do all these epic things on the 16 backpacker things to do in Bali list. So let’s look at your best options. Getting around Bali can either be cheap or leave a big dent in your travel budget. If you’re renting a scooter in Bali it will save you a lot on your backpacking budget, however I know not everyone is confident on riding scooters especially on the busy Bali island roads so in this case the best option would be to rent a scooter. 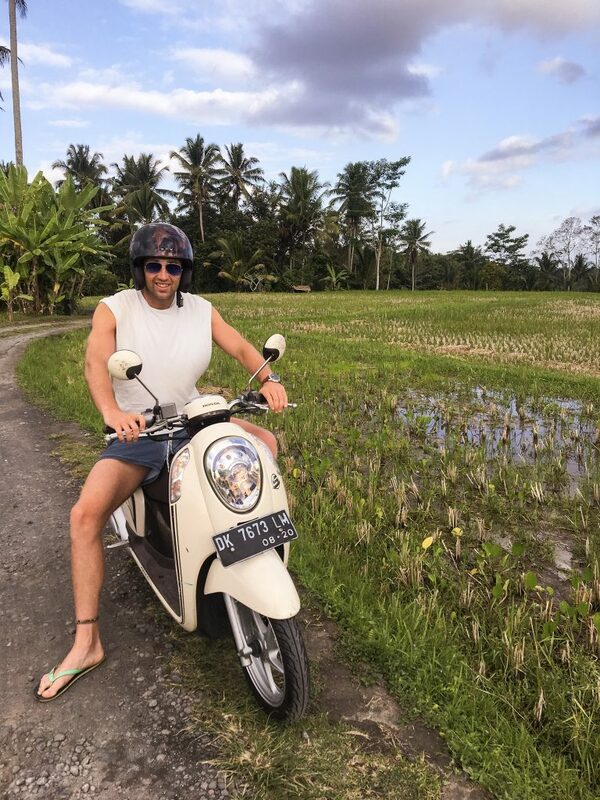 However, I highly recommend getting a scooter to create your own unique adventure, save money and discover how to do the best things in Bali on a budget. A stunning and unforgettable island, which is a personal favourite of mine as a best thing to do in Bali. 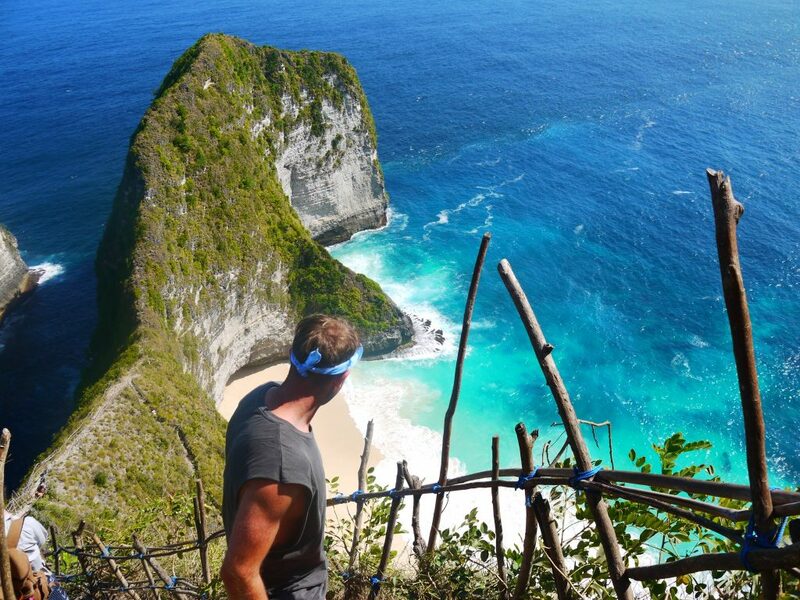 There is plenty of epic things to do on Nusa Penida, including the unbelievable Kelingking beach and the epic broken beach. I was absolutely shocked how amazing this island is. I Never in a million years expected to see some of the unbelievable views on this newly tourist found island. You need to see Nusa Penida sooner rather than later as this island will become very touristic in the not so far future. You won’t want to visit the secret point beach if it’s covered in tourists running round like headless chickens with selfie sticks. Getting to Nusa Penida from Sanur Bali is easy and cheap and it is why it is on you 16 backpacker things to do in Bali list. The cheapest way for how to get to Nusa Penida from Sanur is to pay for the local ferry from either Sanur or Padang Bai both which are located on mainland Bali, the ferry takes about 1 and half hours. Once your there you will be amazed at unbelievable picturesque scenery. Also, the food and accommodation on the Nusa Penida island is crazy cheap. So how to get to the Gili islands and where are the Gili islands? You can visit the Gili islands by the same boat as the Nusa Penida journey which is from Bali mainlaind, it takes around 2 hours to get from Bali mainland to the Gili Trawangan. The accommodation on Gili is cheap (a room for $9 a night), the food is cheap and snorkelling with turtles is free! 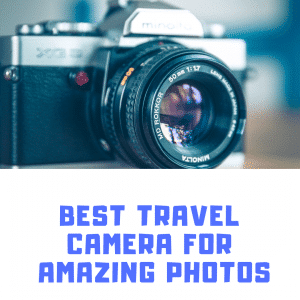 You will have an amazing time no matter what type of holiday or backpacking journey you are on and don’t forget the action camera for the turtles. 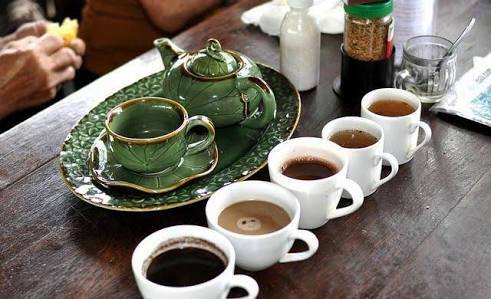 I love coffee and if you enjoy a cup of the finest then you will enjoy a coffee in Bali. There is a range of coffee available in Bali’s caffeine loving cafes like Balinese local espressos to sweet tasting vanilla lattes. The expensive Luwak coffee is also available, but Bali offer free tasters all over the place and that is what we will go for. Also, it is not just a small cup taster you will be given a tray of all the different flavours to enjoy. I went back a few times for the free coffee, I drank weyyyyy to much. There is also many coffee shops that do cheap food, therefore you can drink great coffee and dine for very little prices. 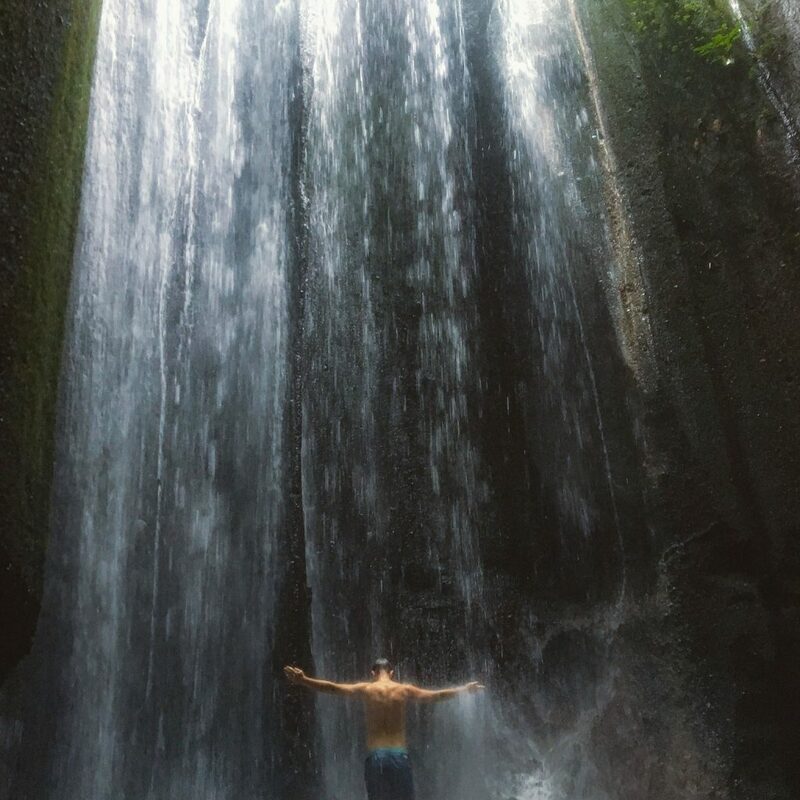 The are many amazing waterfalls in Bali, you have got to visit at least one when you’re Bali. Visiting waterfalls is always a favourite for backpackers, it’s cheap, it’s fun and you get unbelievable scenery. But don’t go after 1pm they can get crazy busy and everyone there is pushing and shoving around to get the perfect Instagram photo, it really annoys me. Therefore, you should go early in the morning around 8am! Where is a great waterfall in Bali? This is amazing if you like hiking and stunning views like me. 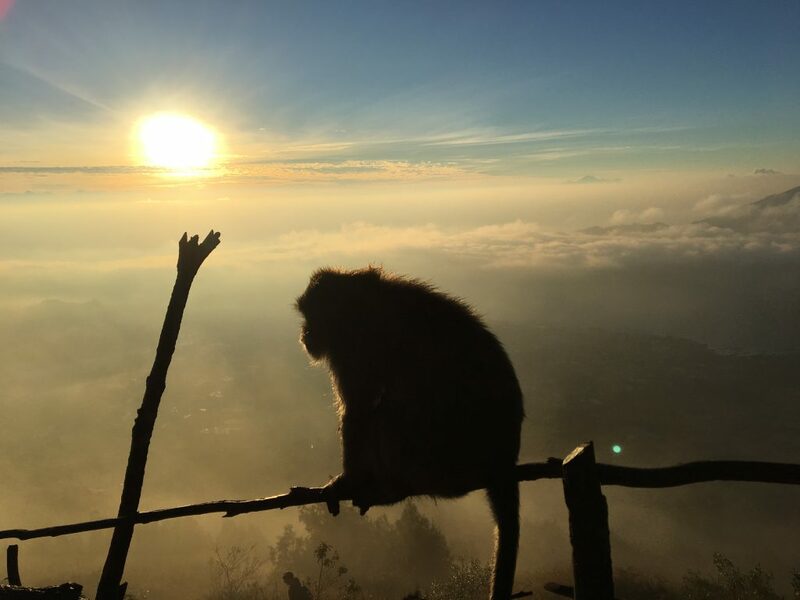 You will get to see the Bali island, from the top of a volcano at sunrise. It’s a moment that will live with you forvever. 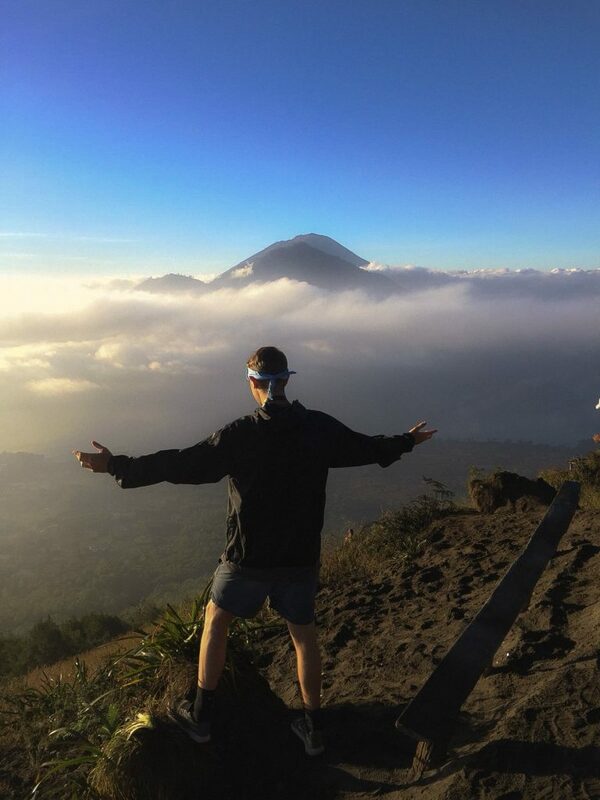 Sorry if you don’t like early mornings, because you will leave your hotel at 2am to venture out on this unique active volcano of Mount Batur hike. We loved every minute from turning on our torches to accent the volcano to looking out over Bali from above the clouds. A truly memorable experience and worth the low-cost, plus you get a friendly guide in the cost to guide you up the mountain. If you didn’t already know, the locals of Bali are very religious and take great pride in showing the world this. Therefore, this is why you can discover plenty of cool and unique temples, dotted all over in Bali The architect of the temples is spectacular and worth a visit to understand the craftsmanship that goes into these buildings. Most of the temples are free but you may have to pay a small fee for parking. For a small price of next to nothing, visiting the temples of Bali is a must if your on a budget (of not on a budget). 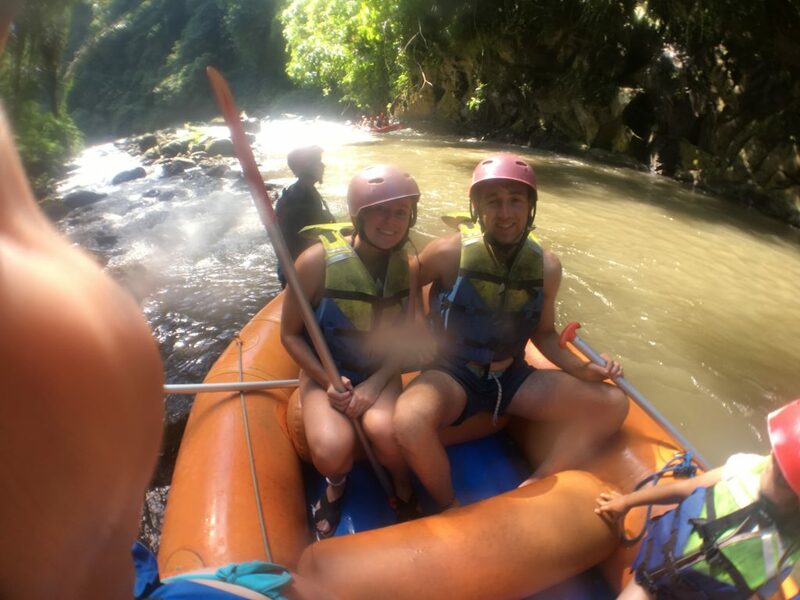 The white water rafting in Bali, thrilling fun and a memorable experience. I had a wicked time on one of Bali’s best adventure things to do. You can hop into a raft and fight the fast rapids of the Ayung river for 2 hours, then hop out and grab a free all-you-can-eat buffet dinner. So much fun for a small price and the fact you can eat as much food as you like makes it worth the money (water is also free). I am always interested in the locals of foreign countries to see how they live and how well they can hold a conversation in English. I couldn’t believe how friendly the people of Bali are, they will go out their way to start a conversation with you and they are very friendly. Whether it’s the busy part of Ubud or in the middle of nowhere on Nusa Penida, the locals are always friendly. You will feel very welcome and and at ease on a visit to Bali. Start a conversation, learn about them and learn them something about your culture as they are always interested. Best of all this is FREE. For the best place to visit in Bali, Ubud has got to be up there. The locals refer to it as the yoga centre hub of the world. We tried the yoga barn, unfortunately it was yin yoga which is quite boring in my eyes. 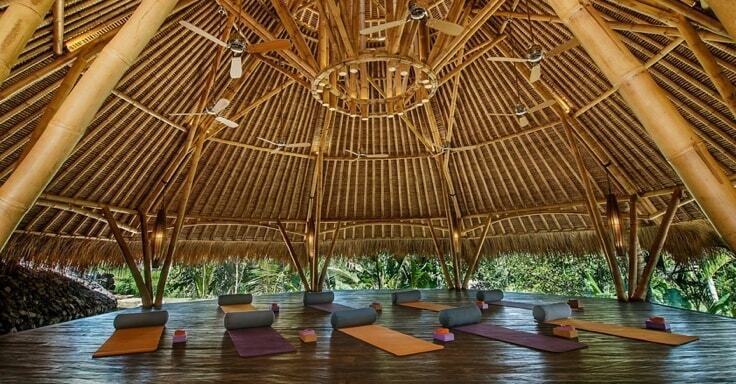 Nevertheless, there is still some epic yoga classes in Bali. If you like yoga, then you will definitely want to try yoga in Ubud. The yoga in Ubud Bali is a lot cheaper in “back street” classes, which is still a yoga studio class – just not as fancy as some of the more popular yoga centres. Where is the best yoga place in Ubud? There is plenty of free things to do in Ubud. 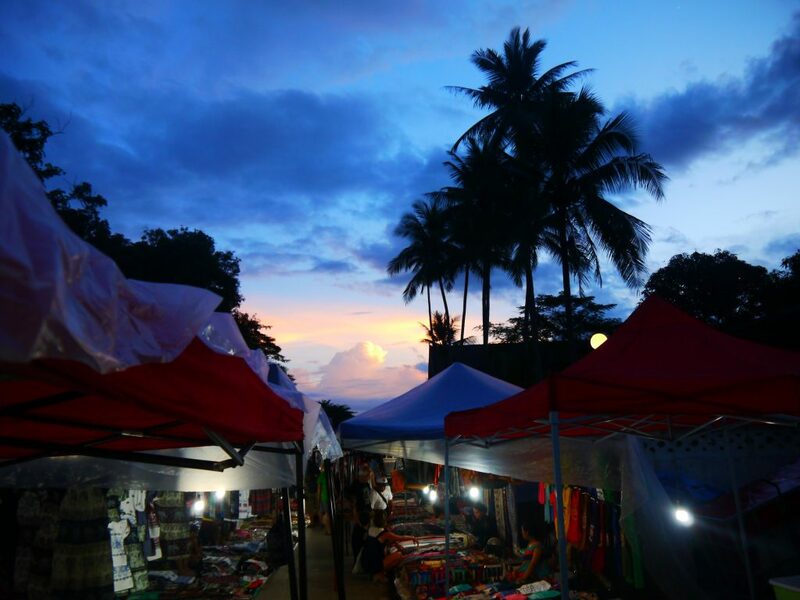 For example the picturesque walking ridge or visiting Ubud’s art market. Are you like me? Do you enjoy trying out different local foods? Even if you don’t. You have got to try the local foods of Indonesia ,they’re bursting with flavour! It is usually rice or noodles with a mix of chicken or beef and mixed with a range of spices. The local food is always the cheapest and in my eyes usually the tastiest. 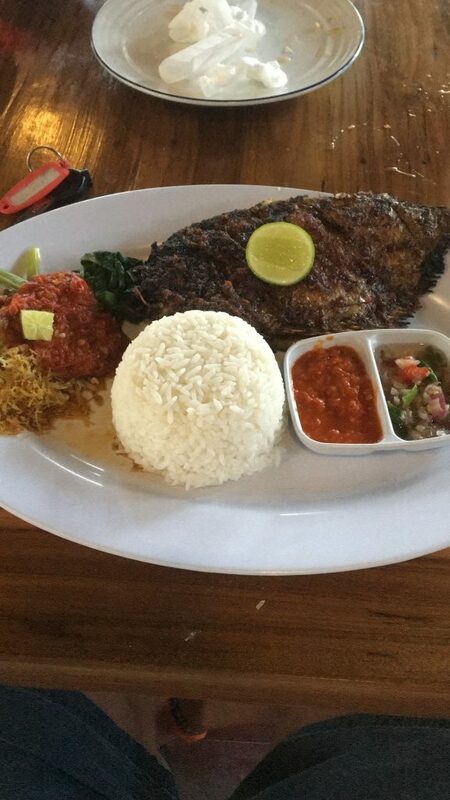 Bali restaurants sell westernised food aswell but that comes at more of an expense. So be adventurous try the local food and both your tastebuds and pockets will thank you! 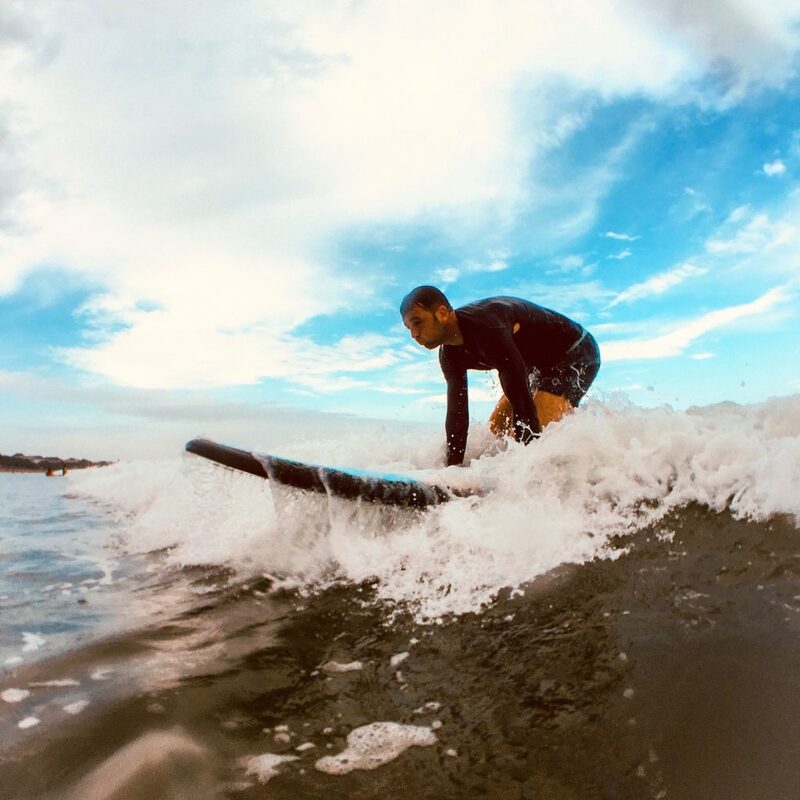 Surfing is a BIG deal in Kuta Bali, if you go to any beach you will usually find a friendly local renting out surf boards. surfing in Kuta is mega fun and I’m glad I did a few lessons in England before backpacking to get ready for the waves. But don’t worry if you haven’t done it before, surf lessons in Kuta are also available for cheap (I would of preferred to do my surf lessons on the Kuta beach in Bali). Surf board rental in Kuta Bali cost next to nothing and it will give you hours of enjoyment. Grab a towel, head to one of Bali’s beaches and watch the sky fill with fire as the sun drops into the horizon. 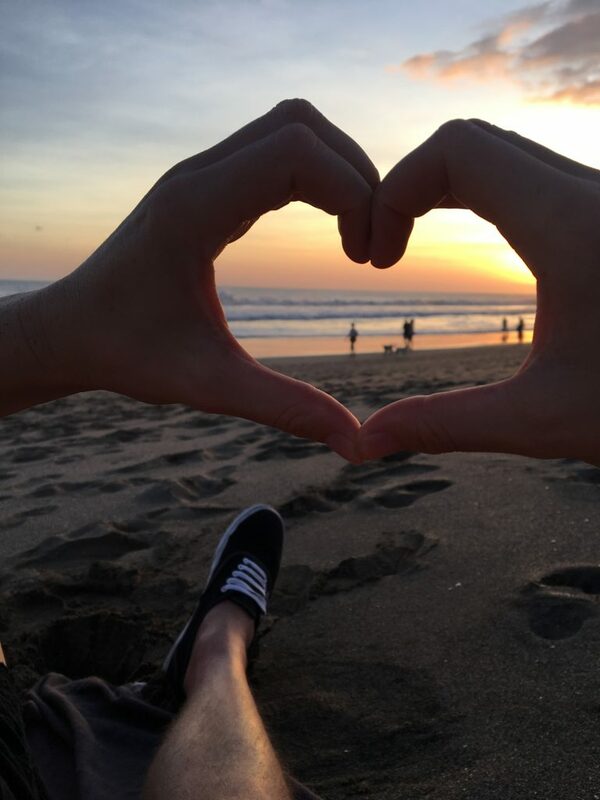 The sunsets in Bali are stunning and make the most perfect picture, this will get you a lot of likes on Instagram. The best things is that this costs absolutely nothing, FREE night on the sun. Finding places to stay in Bali is easy with services such Booking.com and HostelWorld. These services will show you the best accommodation in Bali for very low prices. This is why I moved every 2 nights like a true travelling gypsy. We was happy to keep moving around because at the low Bali Accommodation prices, why would you not want to stay in a new room every couple of nights? 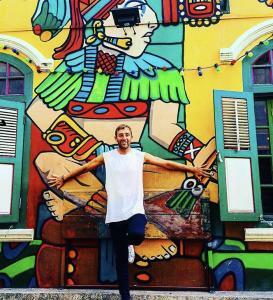 It’s like a new mini holiday in Bali every couple of days without the high expenses. Top tip – Always pick accommodation in Bali with breakfast, this will save you a considerable amount of money in the long run. Snorkelling on the Gili islands was one of the most surreal moments for me. The turtles go about their own business whilst you photograph them and even touch them (yes touch them, they don’t care as long as they can carry on eating). A true magical experience. This is totally free, get your own snorkel and head into the water from the beach. 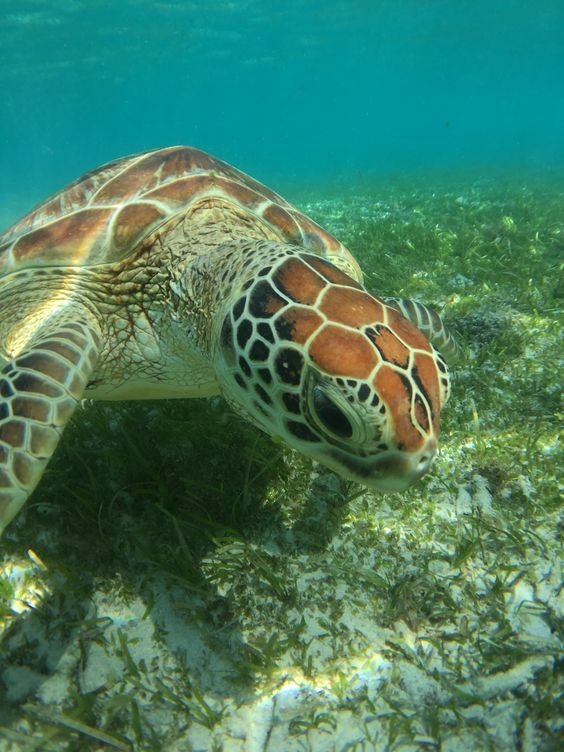 Where is the best place to see the turtles on Gili T? Every time I left the shore I found a turtle within 5-10 minutes, what a crazy experience and one of the most memorable things I did on Gili T.
Get down deep below the water’s surface and discover a whole other world. I’ve tried scuba diving and absolutely loved it, I still need to work up the PADI qualification ladder. You can get this if you like in Bali. This may cost the most out of everything, however cheap accommodation and food for a week should give you the budget for this mega underwater adventure. 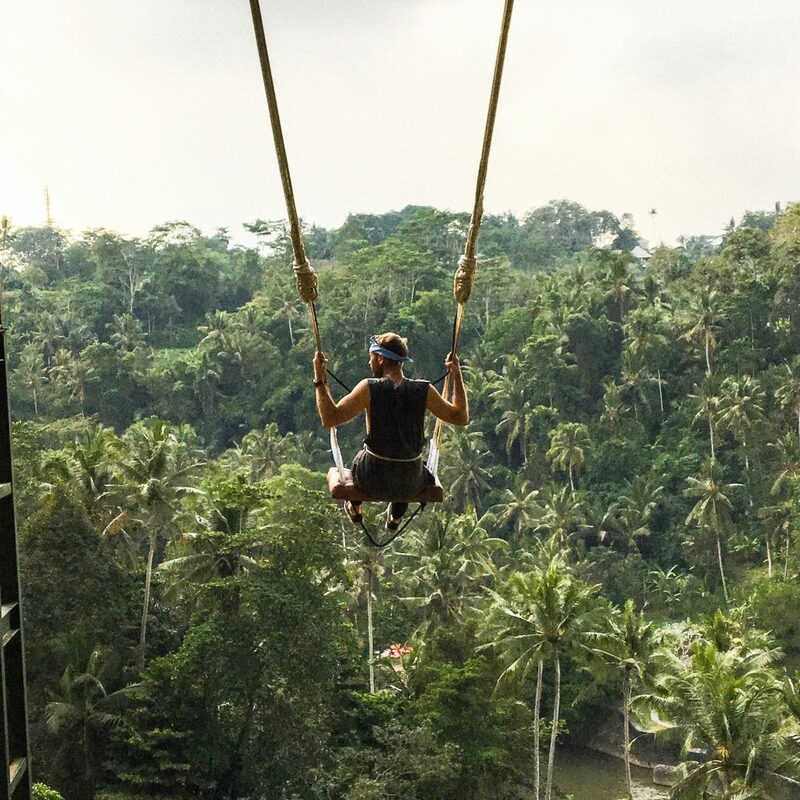 The amazing Bali swing of Ubud, is an adult adventure playground with amazing swings, climbing rocks, love nests and more. It is hours of fun jam packed into this adventure playground and it is definitely one of the best things to do in Bali. 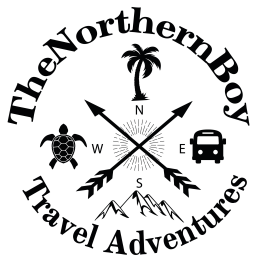 We was a little unsure whether to try out this epic adventure due to the price as we are backpacking, but we never looked back after paying to join in the fun. 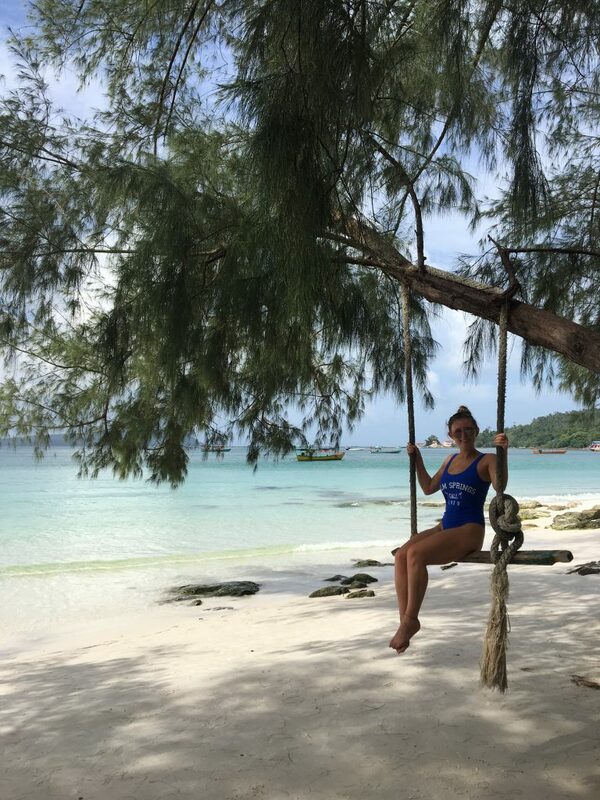 The swings offer spectacular views over the vast jungle and also make for some memorable photos. You will never struggle to find a place to stay in Bali. The number of guesthouse in Bali probably outnumbers the local private houses. I have stayed at some of the best budget places to stay in Bali and I’ve also stayed at some of better places to stay in Bali. There’s also mega luxury accommodation in Bali, which is perfect for those looking to visit Bali on a romantic honeymoon. As a result, what ever type of trip you’re on, there is plenty of suited places to stay in Bali. I hope this list of 16 backpacker things to do in Bali has been helpful. I have had an amazing time in Bali and I hope your journey is just as exciting. Please subscribe to my adventure and let’s share journeys.